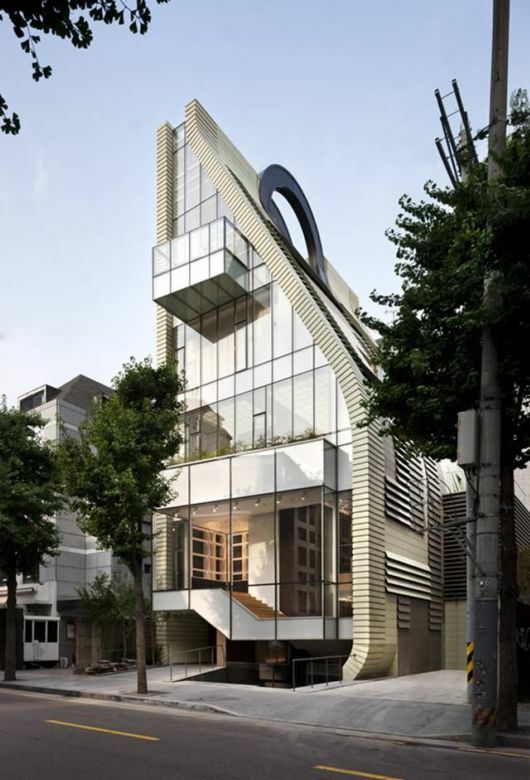 December 13th, 2012  South Koreans are becoming more known for their bold approach to modern architecture, but this new towering structure might just take the prize! 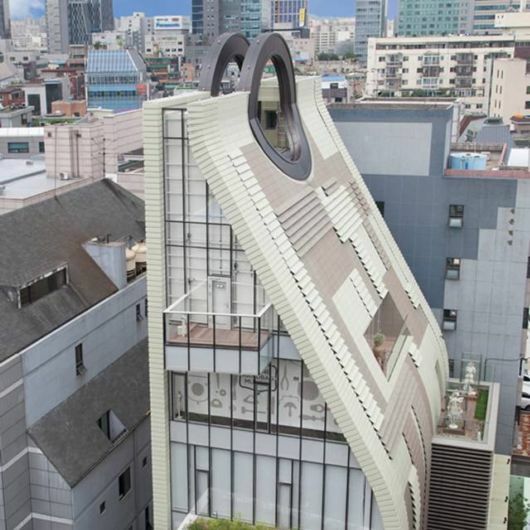 A massive building shaped like a handbag is now Seouls latest style accessory. 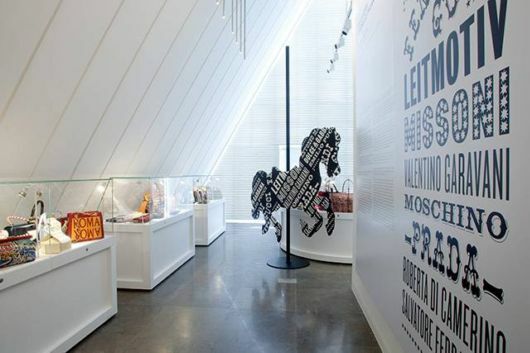 Korean-based architects UAD and Charlie Smith Design, took a very literal approach to creating the handbag look-a-like structure for the Simone Handbag Museum, which showcases over 300 handbags that date from the 16th century to the 21st century. 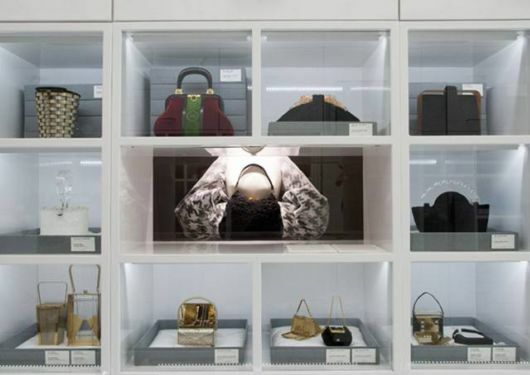 The five story building, which will now be known as The BagStage Building, celebrates the history of handbag design in South Korea, showcases Simones collection of bags, and provides designated workshops for promising young designers to create their own handbags. 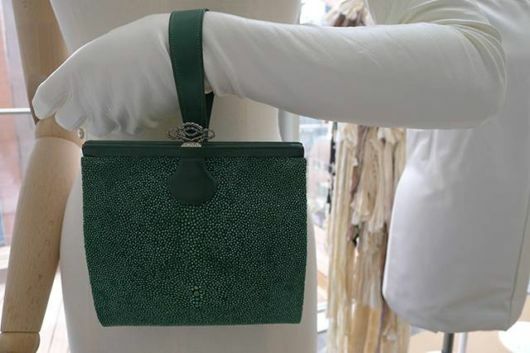 On the first floor, UAD designed a flagship store for Simone?s own bags to be sold along with a rent-free workshop space for promising young designers to work and enjoy the experience of handbag-making. A multi-brand store is planted on the second floor, this store will feature products of contemporary brands introduced in Korea for the very first time ? such as Rebecca Minkoff, Kiechel, Milly, 49 SQ Miles, Carlos Falchi and Oroton among others. 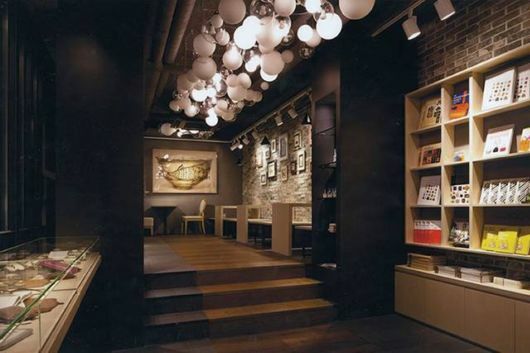 The store is outfitted with brick walls and dark colors with a long glass bubble-like ceiling fixture down the center – dimly lit specifically to showcase the lit bags. Past the building?s entrance shaped like a small stage and down the steps will be the Museum Café and the Museum Shop. On the second basement, will be a rent-free store for Korea?s up-and-coming new handbag designers, where they can show off their own unique colors and designs. Also on the same level, there will be a workshop where anyone can try making a handbag themselves. Big and small machinery and gadgets needed for making a handbag, ranging from sewing machines to logo pressers and leather skiving machines, will help the public experience being a craftsman. 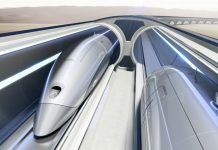 On the third and fourth floors below ground, some 500 different kinds of leather materials developed by Simone from around the world, including France, Italy, Spain, Turkey, India and Brazil, will be displayed in various ways. 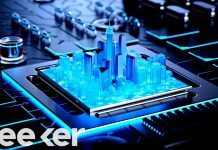 This space will provide a chance for not only handbag designers, but also for apparel and shoe designers, interior designers and everybody else to be introduced to new types of leather materials. At the heart of the BagStage Building will be Simone Handbag Museum, set to show the history of handbags from the third to the fifth floors. Some 350 handbags from the 16th through the 21st Century will be on display, collected through global auctioneers like Sotheby?s and others from private collectors around the world. On the third floor, the Contemporary Gallery will show the modern history of handbags of the 20th and 21st centuries. 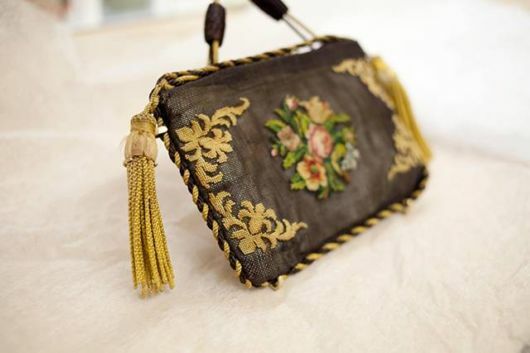 The Historical Gallery on the fourth floor will introduce handbag archives from the 16th through 19th centuries. To celebrate the opening of the world?s first Simone Handbag Museum, a special collaborative exhibition will be held on the fifth floor in conjunction with Italy?s finest fashion houses. Titled ?Italian Carousel?, the exhibition will be a great opportunity to see how Italian luxury brands like Fendi, Prada, Gucci, Emilio Pucci, Missoni, Versace, and Dolce & Gabbana carried colors that express the history and traditions of Italy into their images and products. The building will serve as a stage for bags, displaying the backstage of Simone who has been working as a collaborative partner with European and American high-end bag brands for 25 years.